Professional websites that require no technical expertise, that you can customize and add listings anytime you wish, and that are built, hosted, and maintained by someone else. Electronic Creations Corporation is an internet development company that provides unique electronic services tailored for the web. 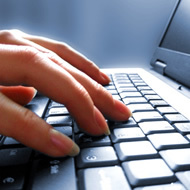 Our company leases great websites, as a part of an entire package of leasing services. Building and leasing websites are our business. Our aim is to create websites that have complex functionality, yet have a clean look and feel, are extremely easy to use, and can be managed by non-technical folks. We currently manage hundreds of websites, and thousands of e-mail accounts and domains, for clients across the planet. Our websites are extremely solid and reliable, with user interfaces that speak of utter simplicity, while allowing the highest functionality, and the most complex interaction with a database. We value clean code, user-friendliness, logical page-flow, cutting-edge functionality, and thorough testing, over speed of project completion. Time is necessary to create fine wines and great websites. We have been working on the internet since the 1990s. The owners and staff have decades of combined experience working on internet, website, and computer technologies. The average age of those in our offices is above 50 years old, therefore, when you lease a website from Electronic Creations, you will be working with a mature, responsible, and experienced staff of people. We are an American company, owned and staffed by Americans. We never out-source any of our work, whether writing code or technical support. Never. All facets of our work are always accomplished in-house. Always. We pride ourselves on our quality control and our customer service. If you would you like to have a professional website for your real estate, auto, insurance, or re-insurance business, a website that requires no technical expertise on your part, a website that you can customize and add listings anytime you wish, a website that is built, hosted, and maintained by someone else, a website that is surprisingly inexpensive, in short, a professional website that leaves you free to conduct business without costing you a bundle of money or time, then you have come to the right place! The following are included for one very low monthly price. Your website will be hosted on our own extremely fast and reliable company servers, which are monitored and maintained by our company technical staff. You will not have to deal with a third-party website hosting provider. Our web servers are located in America. Your website will be monitored and maintained on a regular basis, by our own in-house technical staff. Your website will be backed-up every night, and will receive free software upgrades to all subsequent versions. 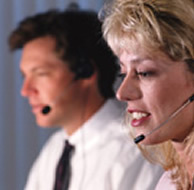 Technical support is available at all times, including weekends. This is one of the most exciting parts of your website and your leasing package. Your website comes with an easy-to-use administrative control panel, which allows you to customize and personalize your website to suit your individual needs and your taste. Every website needs a domain name. When you lease a website from Electronic Creations, you can use your own domain name, or you can use a great domain name already owned by Electronic Creations. If you do not have a domain name, and if one of ours will not work for you, then we will help you acquire a suitable domain, either by registering a new domain name for you, or through buying one from the current owner.